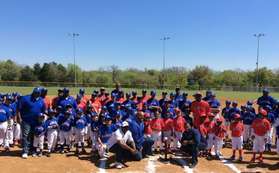 Lancaster RBI is a §501(C)(3) non-profit, all volunteer organization offering a complete baseball program where boys and girls learn sportsmanship & teamwork while having fun at the same time. Boys and girls can start at the age of 5 and continue in the program through the age of 14. Lancaster RBI does not have tryouts for recreational league play. Every player that signs up gets to play. PLEASE CALL BENNY AT 817-909-0327. THE ON-LINE HAS BEEN CLOSED.WE STILL HAVE SOME ROOM, PLEASE CALL FOR UPDATE.